UCURQUI, Ecuador — It’s the year 2043 and this burgeoning city of 100,000 is a high-tech mecca. Using rare plants from the Amazon, university researchers have cured many diseases; factories churn out nano-sponges that soak up oil spills around the world; local software designers are the envy of Palo Alto. Ecuador — once known for its crude and bananas — is now the Silicon Valley of the tropics, the Singapore of the Andes. That’s the vision authorities see in the swirling dust kicked up by dozens of bulldozers and more than 2,000 construction workers at a remote site almost two hours from the capital. It’s called Yachay, the City of Knowledge, and President Rafael Correa refers to it as the country’s moon shot — a $1.04 billion initiative to build a research university surrounded by labs, industrial parks and, ultimately, a city. The project aims to attract the world’s brightest minds and most innovative companies, propelling this small and impoverished South American nation into the 21st century as a leader in engineering, clean energy, biotechnology and environmental sciences. Correa calls it “the most important project for the country in the last 100 years,” even as some worry that the country is plowing money into a mirage. Sarah Moser, a geography professor at McGill University in Montreal, is studying the new spate of master-planned cities sprouting around the globe. Some seem to hold promise, such as the $82 billion King Abdullah Economic City in Saudi Arabia, which includes much-needed ports and infrastructure. But many have been gutted by corruption and mismanagement or have collapsed under the weight of their own ambition. Dompak, an “eco-city” in Indonesia, for example, was supposed to be a new administrative capital and a model for sustainable growth. Although the project has burned through 75 percent of its budget, it’s only one-third complete. The environmentally friendly city is now plagued by illegal bauxite mining. Hector Rodriguez is the general manger of Yachay, but his job description is somewhere between mayor and foreman of the 10,550-acre construction site. Sitting in his white button-down shirt and sunglasses on the steps of a refurbished sugar plantation that serves as an administration building, Rodriguez says Yachay is already showing signs of life. More than 170 students have been recruited from across the country and are taking intensive math and English courses on campus as they prepare for formal studies next year. Although Yachay is a 30-year project, Rodriguez says the country will start seeing results by 2017. By then the campus will be finished and teeming with 2,000 students, and there will be 200 companies on site, thriving off the academic research, he said. There will also be day-care centers, elementary schools and other signs of a city in the making. In architectural renderings, Yachay looks gleaming and inevitable. But some question the wisdom of pumping more than a billion dollars into such an isolated area. Planners say the site is strategically located in northern Ecuador — almost equidistant from the capital, the Colombian border and the nearest port. But to the layman, the site seems to be in the middle of nowhere. It’s almost two hours from Quito and a half-hour from a town of any size. And that could be a problem. A 2012 study by the Inter-American Development Bank found that there were almost 150 technology and science parks in Latin America hoping to jump-start innovation and attract investment, but almost all of them were failing. “The rare exceptions are those associated with research centers that are close to large urban areas and a critical mass of innovative companies,” the study found. Yachay has none of those attributes. Rodriguez argues that Yachay needs virgin land to fulfill its mission. The city will have redundant Internet connections, electricity and water supplies — all prerequisites for high-tech companies — that would be difficult, if not impossible, to replicate in a city. It will also be a free-trade zone, which requires a level of security that would be challenging to provide in an urban area. Planned cities have been around for centuries, but Yachay is part of a new wave in development. In the 1990s, cities tried to one-up each other by building the tallest tower, said Moser, the McGill professor. “Now, it seems you have to have a showpiece master-plan city as part of your government propaganda to attract investment,” she said. While the trend started in oil-rich nations in the Middle East and Asia, less likely places such as Senegal, Morocco and Ecuador are getting into the game. Since taking office in 2007, Correa, a charismatic socialist, has embraced ambitious plans and grand gestures. He’s defaulted on the country’s foreign debt, calling it illegitimate; offered WikiLeaks founder Julian Assange safe haven in London when many nations were treating him like a pariah; and embarked on one of the most innovative — but ultimately failed — cash-for-conservation programs. But he has also made education a priority. The administration says it has put 4.3 times more money into education than previous governments and plans to spend almost $10 billion to build 900 schools and overhaul 4,600. The government has also shut down for-profit “garage” universities, increased teaching standards and introduced scholarships that have about 8,000 Ecuadoreans studying abroad. Nelson Rodriguez Aguirre is the acting dean of Ecuador’s Central University, which has one of the nation’s largest engineering departments. He said that his and other national universities would welcome the money being plowed into Yachay but didn’t view the new institution as a threat. For the students currently at Yachay, however, being at a landmark has some drawbacks. 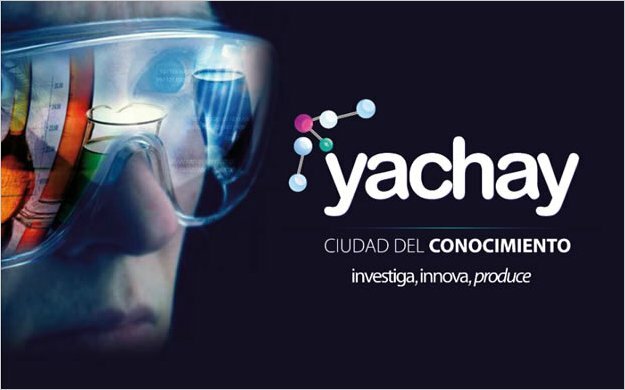 Jonathan Salinas, 18, is one of those selected from thousands of applicants to be in Yachay’s first cohort. He’s taking English classes with professors from Kansas State University and math with professors brought in from around the world. He’s supposed to begin studying renewable energy next year, but right now there are no labs or research facilities. There are also more mundane issues. The only food available on campus comes from two fast food restaurants. Getting to the nearest grocery takes almost an hour round-trip. He said there have been hundreds of such efforts but none have succeeded. But these ideas don’t die because they’re lucrative. “Consultants will make a lot of money, politicians will make a lot of money and real estate developers will make a lot of money, but it’s the taxpayers who will be left holding the bag,” he said.